Bailout! Bailout! Bailout! If it comes down to those three words, crews must be ready and capable to act instantly. No time to wonder, process, or doubt – it’s got to be instinctive . Milliseconds count during an ejection. Any mistake could be disastrous. That’s why training is so important. 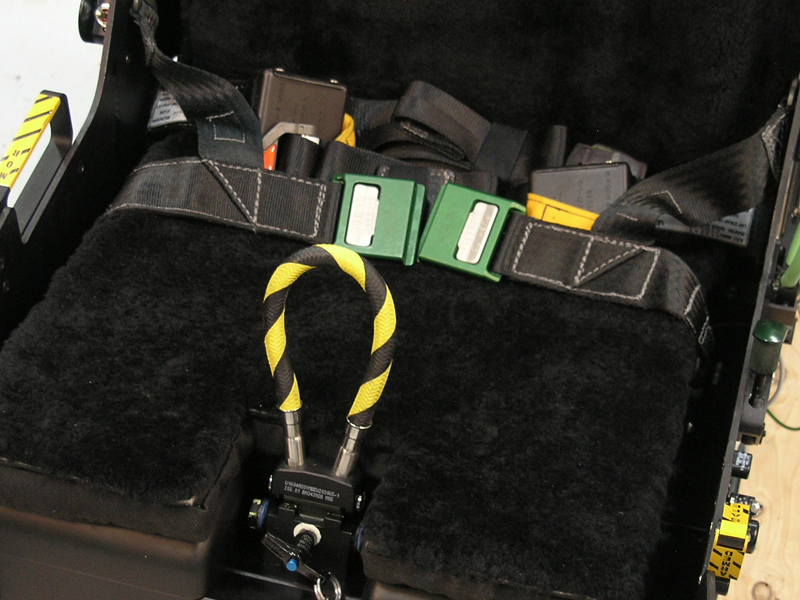 Practice buckling in, connecting crew harnesses, communication cords, G-suit hoses and oxygen masks. 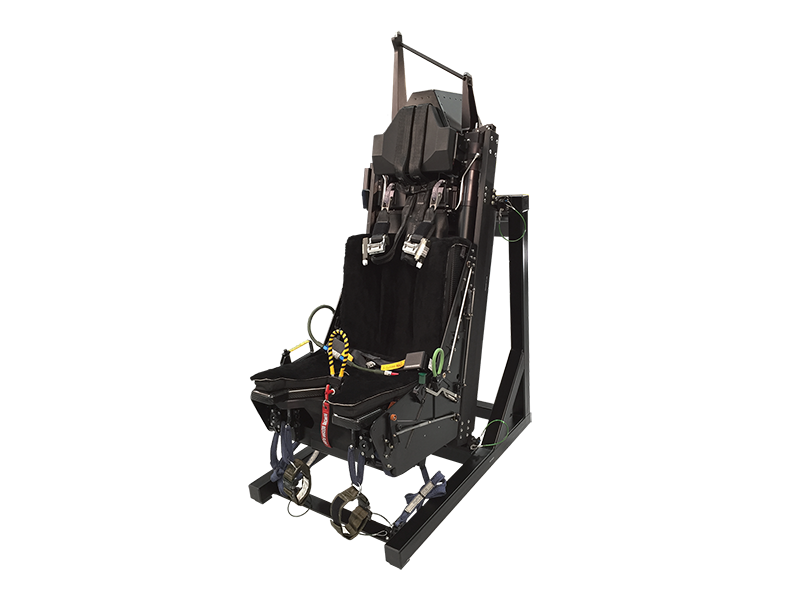 Train to arm and safe the seat with realistic levers, handles, and safety pins and an I/O sensor suite that lets instructors see the seat state changes in real-time. 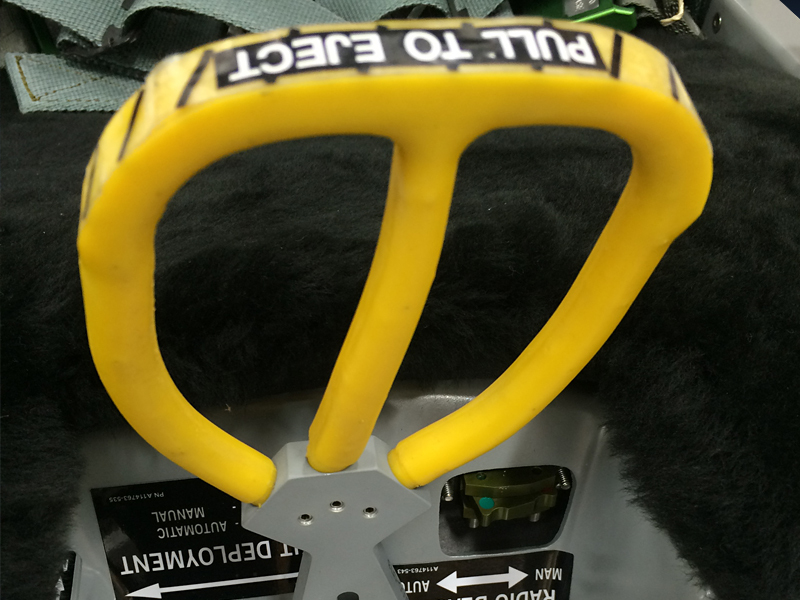 Learn and practice getting into the optimal position for ejection. 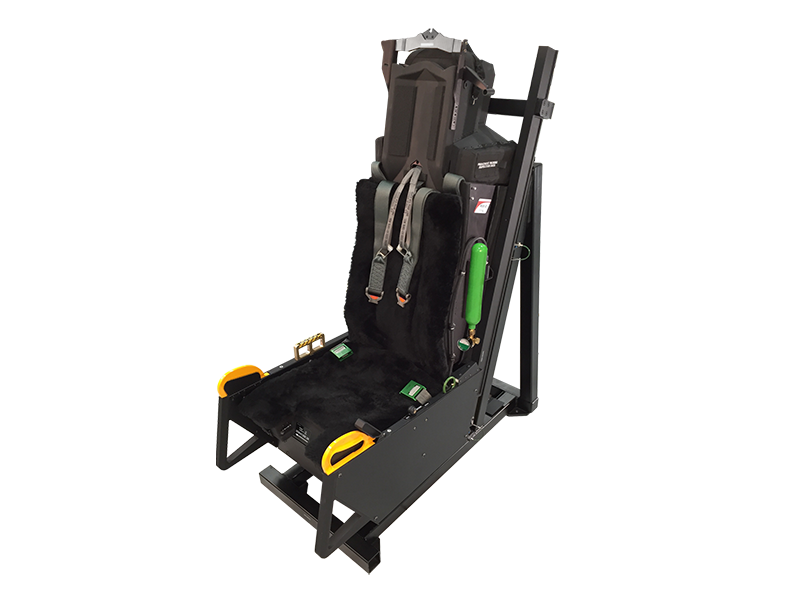 Sensors can show the crew and instructor when the crew has their back and shoulders on the seat aligning the spine. 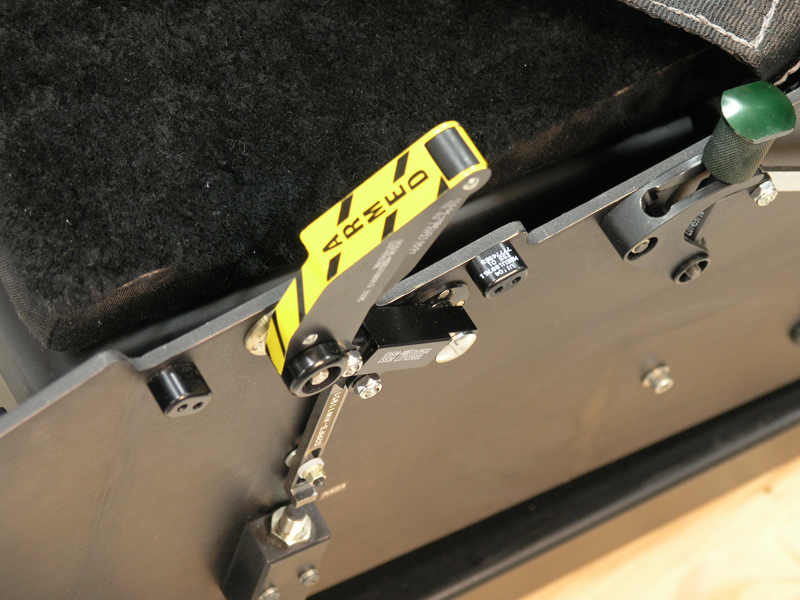 Students can train themselves and each other with simple, push button controls and visual confirmations. 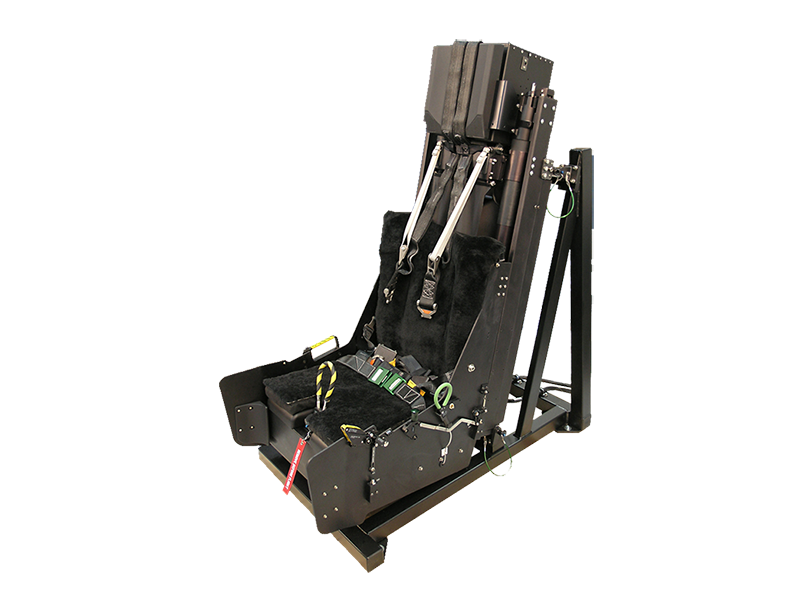 ACME’s ejection trainer is mobile, small-footprint system allows complete training right in the classroom or the office. 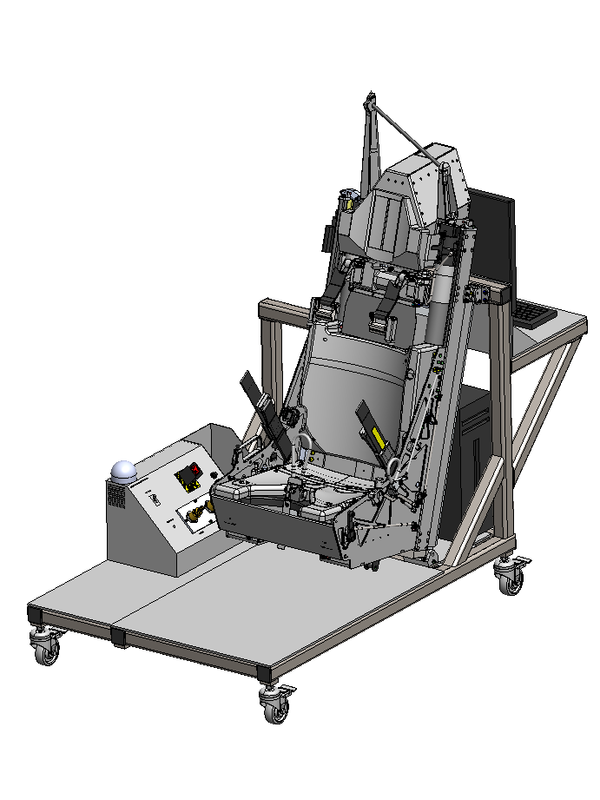 No need for elaborate cockpit with two-story, ejection rail contraptions that require hard mounting in dedicated, large room or hangars. 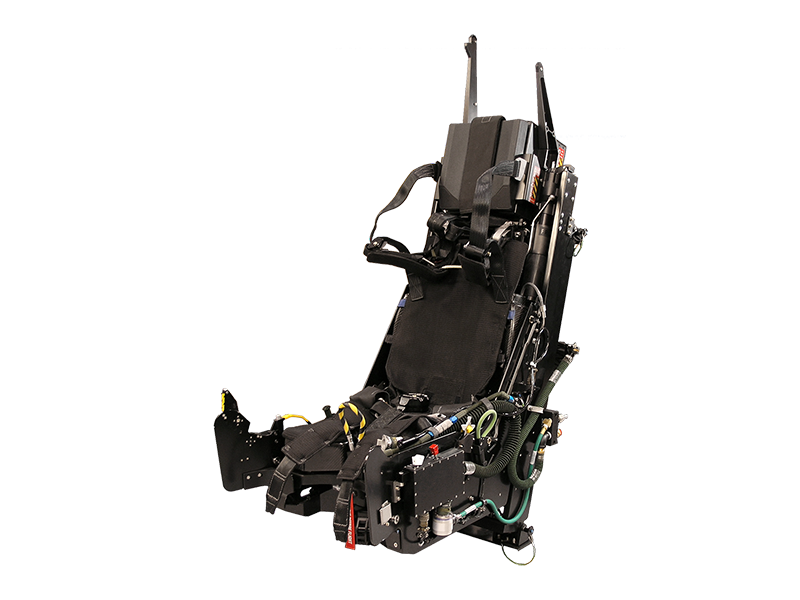 An ejection seat will move faster than any crew action after the handle is pulled. 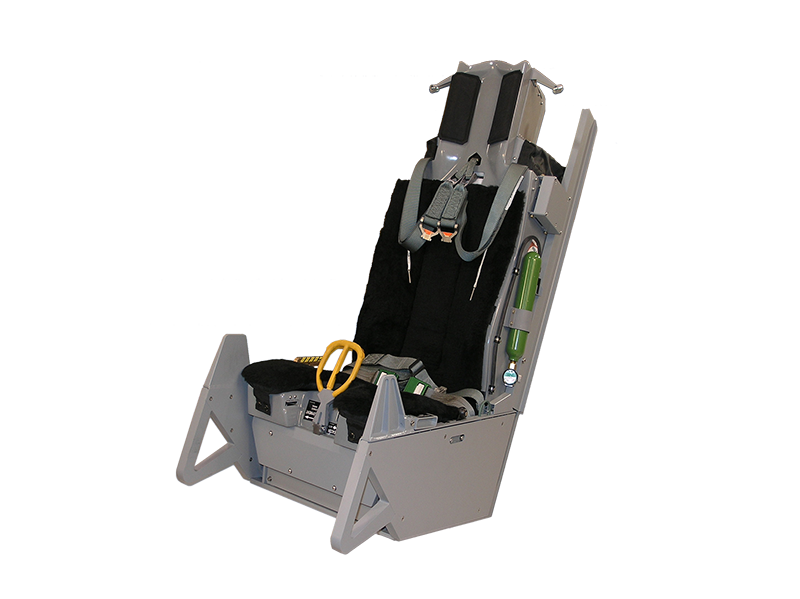 No training value and possibility for injury with systems that focus on launching crews out of the cockpit and up the rails on the seat. Link motion to visual system and control sticks so crews recognize loss of aircraft control as prep for ejection decision. 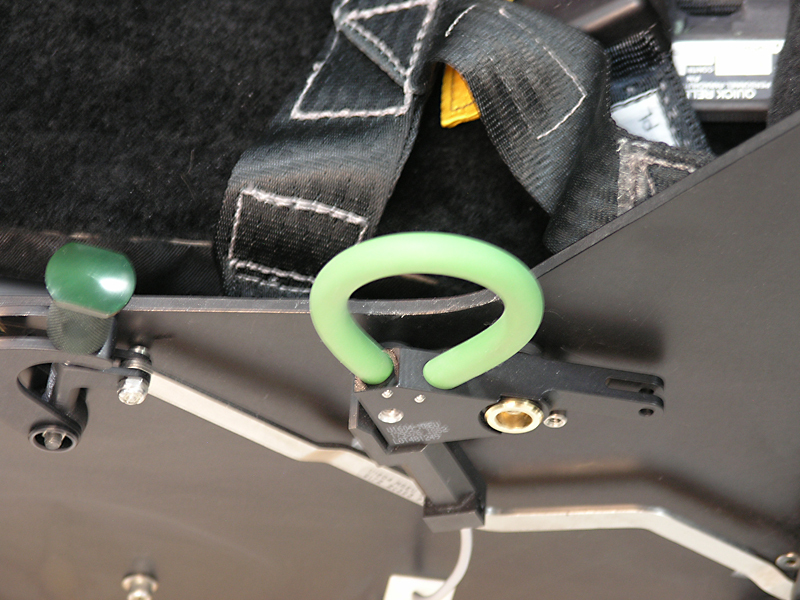 Ejection training is much more than just yanking the handle. 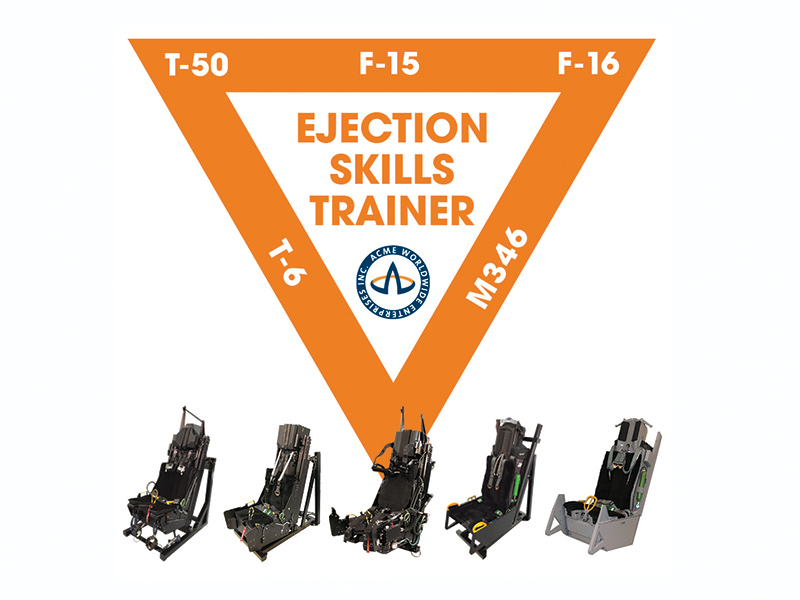 ACME’s Ejection Skills Trainers offer cost-effective, realistic training that ensure crews are ready in the event of a crisis and need to eject.